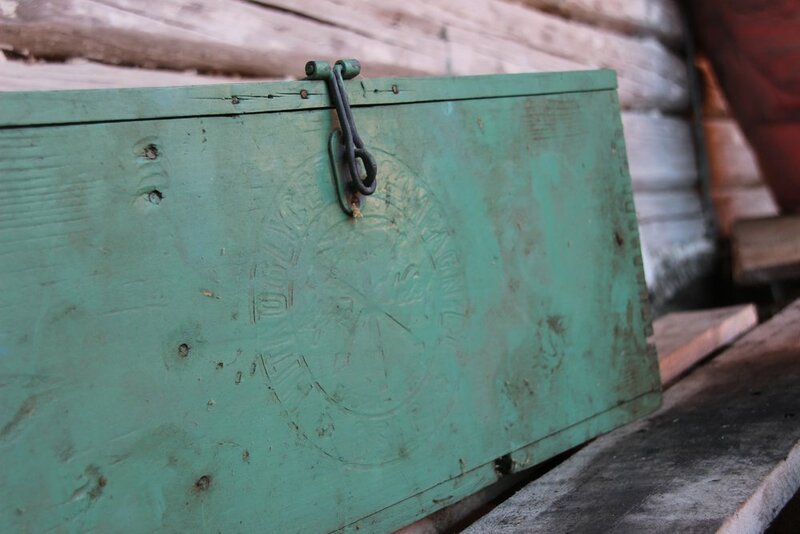 Digging our way through the barn we found an old tool box. Correction, it's not exactly a box with tools for working, but a box with tools to survive life's challenges as a bachelor in the 1940s. Let's have a look at this time capsule. The box is a - or is made out of the materials from - an old dynamite box. Nitroglycerin rubber dynamite to be exact. - as conscious about his looks as any modern single man. Three kinds of hair tonic, two kinds of antiseptic, cough syrup, painkillers and a lot more I can't identify. Naw. Look at that happy skull! Manipulative visual communication is an old phenomenon. "Poisonous - haha - but happy!" Most of these remedies are very poisonous. It even says so on the bottle. 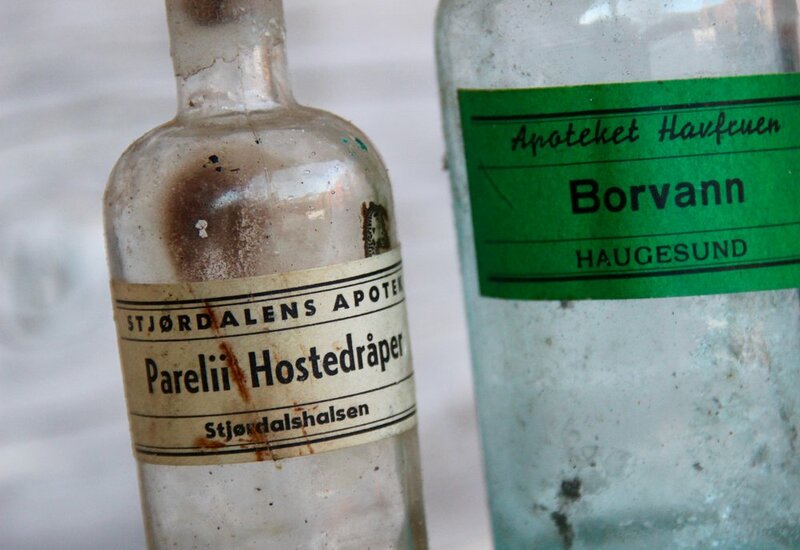 The bottle labeled "Borvann" contained boric acid and was used as a antiseptic. It was also used to preserve foods like meat, milk, butter and mushrooms. This is now prohibited in many countries, including Norway. 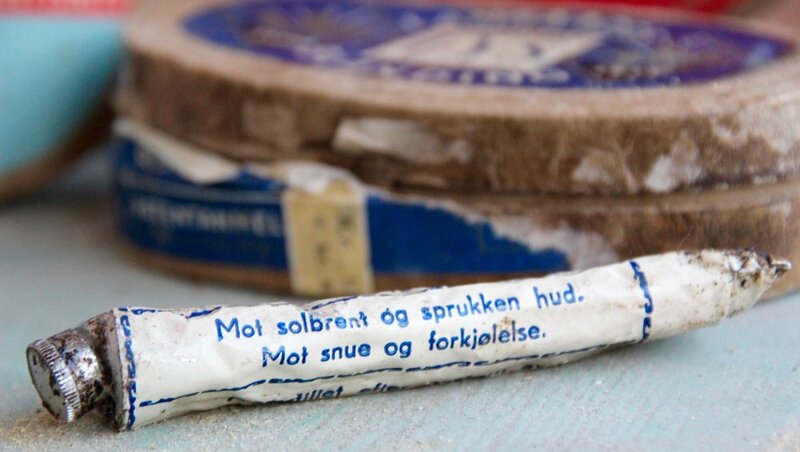 "Globoid" is a painkiller used in Norway from the 1930s until the 1990s. It contains acetylsalicylic acid and litium. Common side effects were bleeding and ulcer. "Use Alpecin daily and you hair will be rich and silky smooth"
The young mans name was Roar. I don't know if he was a smoker, but he certainly collected cigar and cigarette boxes! They are filled with nails, pens, buttons and other small nifty objects that might come in handy. A glass pen, inc and a marble grinding stone. Ski wax for "dry new snow" and creme for a sunburn. And open your mail in style. A few of the items in the box suggested that Roar was a musician. 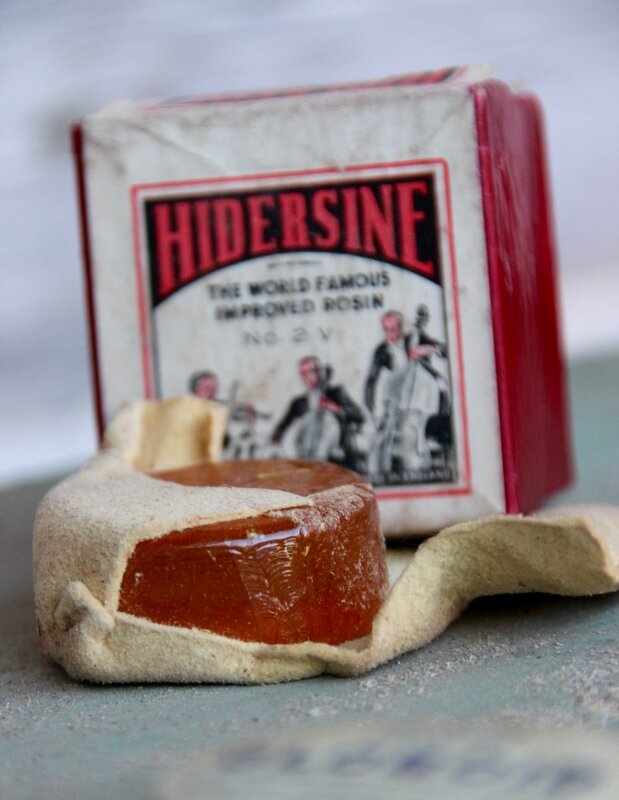 There was wax for violin strings and a booklet on how to play the accordion. He had also been traveling with "Hurtigruta"
- a Norwegian cruise chip sailing from south to north. In one of the cigar cases I found a negative. An acquaintance of mine at the local history union had it scanned. Are you the violin player? 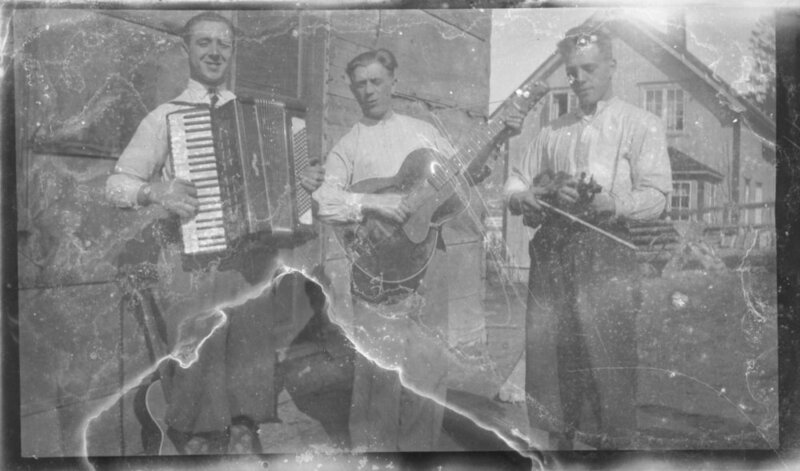 Or the man with the accordion? My acquaintance did some research on Roars name and found he was born in 1920 and died in 1980. This means he was a teenager during the Second World War. In 1949 he was living in our small town, working as a farmhand. Our guess is he was a farmhand at our farm. Then in 1949 - at the age of 29 - he got married and moved. Thank you for leaving us this time capsule. We are going to take good care of your box.